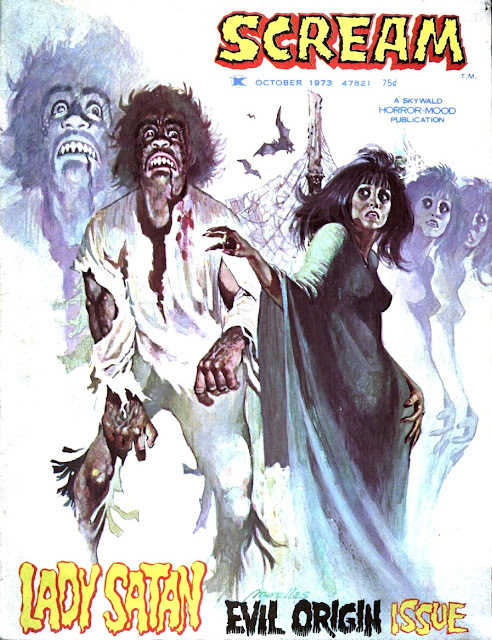 Are you in a Horror-Mood, Groove-ophiles? 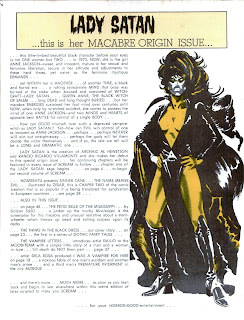 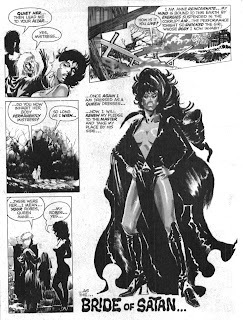 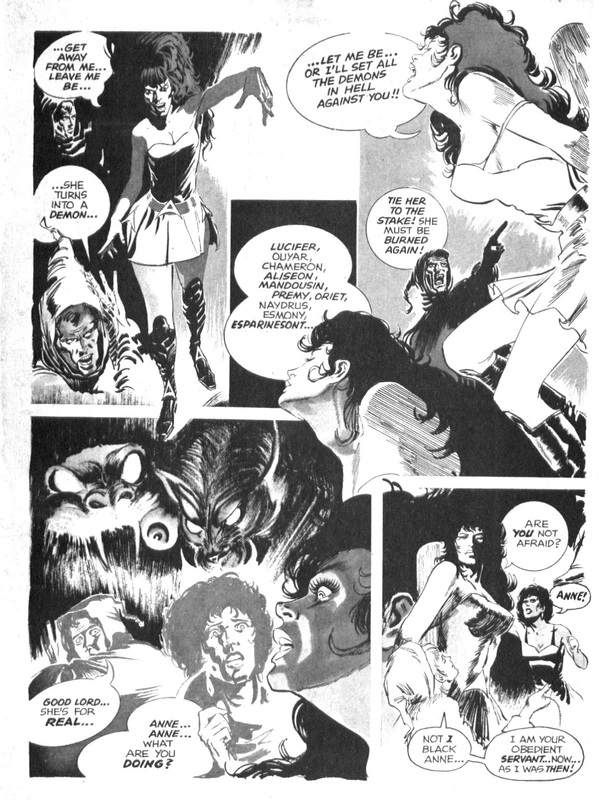 Then let's truck on back to the Summer of 1973 to the October cover-dated Scream #2 for a look at Skywald's answer to Vampirella, Lady Satan! Taking the name of a very different Golden Age character, writer Archaic Al Hewetson and artist Ricardo Villamonte tapped into the occult-mania that was running rampant, mixed it with the popularity of the "Blaxploitation" films, gave it a twisted sense of Women's Lib, and unleashed something so outrageous that it could only have found "life" in a Horror-Mood mag. 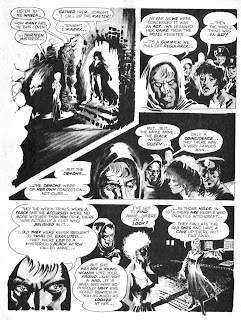 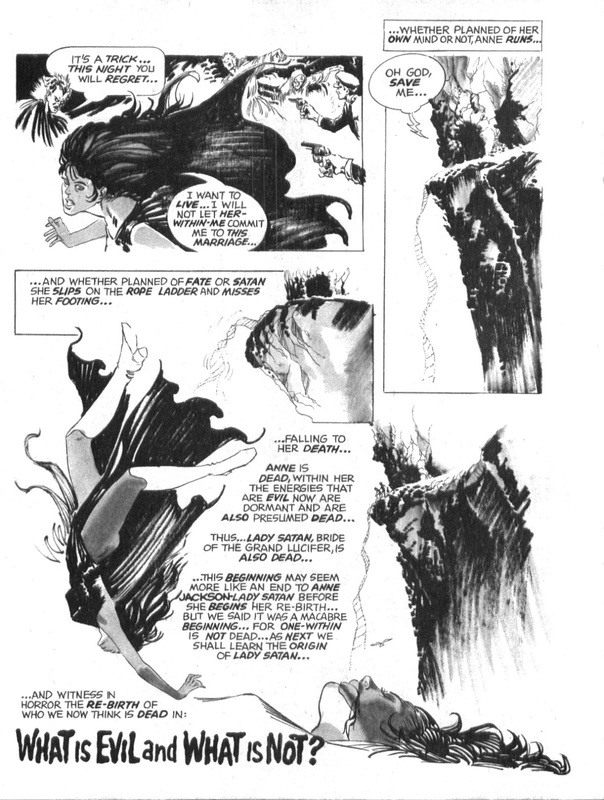 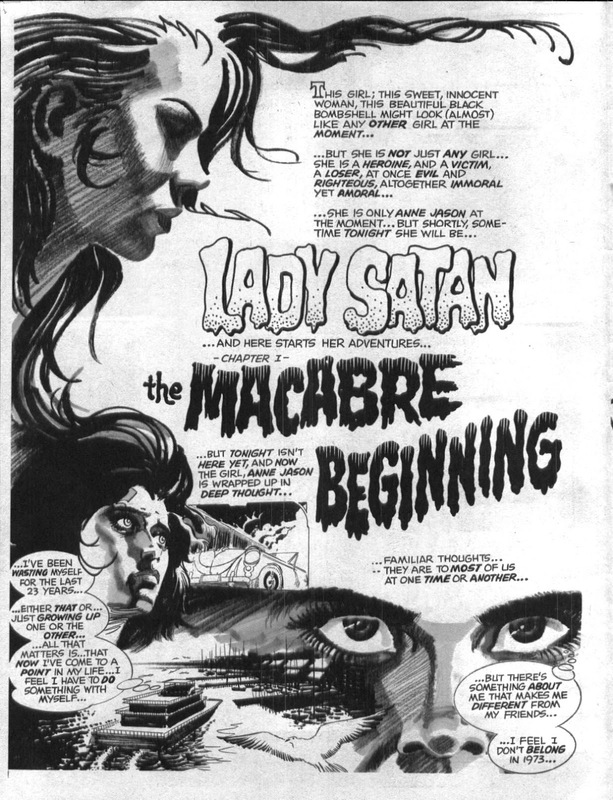 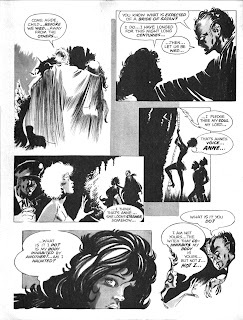 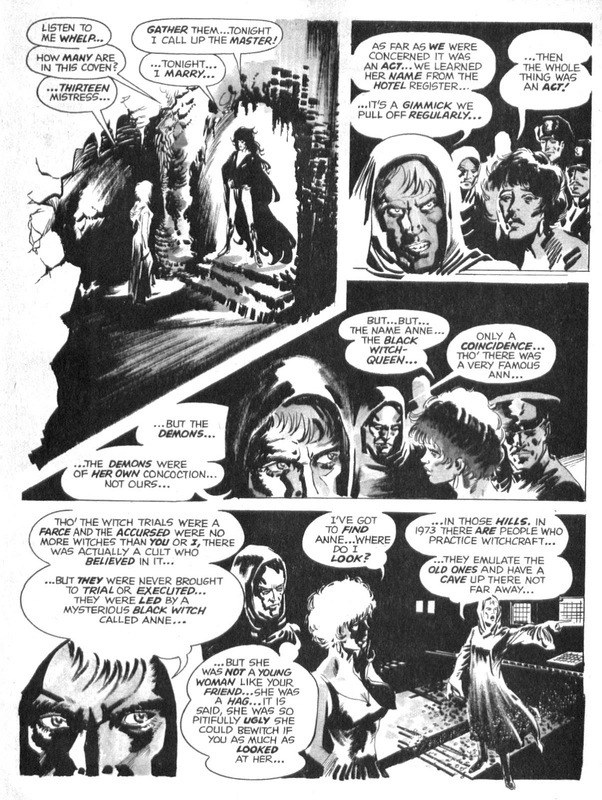 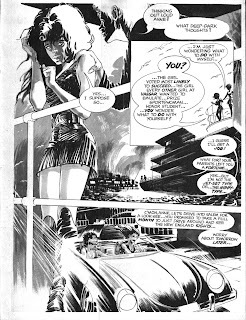 A short-lived feature, Lady Satan only ran for three issues of Scream (#'s 2-4) and one issue of Psycho (#19). Now that you have the inside dope, are you ready to meet...Lady Satan? 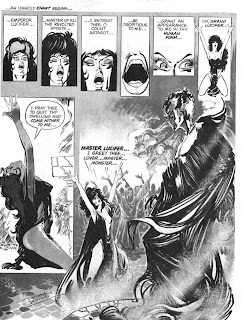 I'd completerly forgotten that chatacter, although I DO remember Burnick, the Love Witch, Mistress Tonia, and Demona.